About Us | Make More Work Less! Assurance Real Estate Acquisitions Inc. was brought together by the managing partners Jessica Ng and Fong Chua to bring to life their beliefs in adding value to people. This partnership specializes in bringing together the right people, the right project and the right solution, all while adding value to all those involved, creating a win-win environment. Relational capital is an asset that Assurance Real Estate Acquisitions Inc. places a great emphasis on, which is why we treat our clients and partners the same as our loved ones. Starting out as engineers, Fong and Jessica, winners of the deal maker award, have the technical skills and attention to details to ensure that all projects are of value for all parties involved. What makes us unique is that we have many insider relationships with investors and agents, which allows us to have access to great deals first. Our philosophy is simple, we don’t acquire properties unless they are of fair value and we don’t speculate on appreciation. When it comes to partnerships, three words describe our focus: loyalty, relationships and results. This is why we believe that partners should be for life and why we treat our partner’s money even more conservatively than with our own. 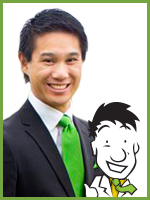 Fong Chua is the company’s acquisitions specialist. Winner of the loyalty award, Fong’s sense of honor and equality towards our partners and agents make Assurance Real Estate Acquisitions Inc. the company of choice when it comes to presenting opportunities to. Always looking out for our partner’s interest, Fong’s ability to bring people together is what makes our company thrive. 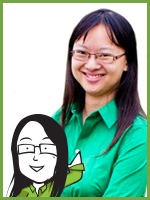 Jessica Ng is the company’s long-term investment and relations strategist. Winner of the human relations award, Jessica’s empathy and care for our partners, residents and clients is the driving force to the success of Assurance Real Estate Acquisitions Inc. Jessica’s attention to detail allows her to focus on the long term risks and returns of our partner’s investments, as well as the long term well being of our residents’ experience in our houses.